Revival was installed at Pelham Art Center in Pelham, New York. 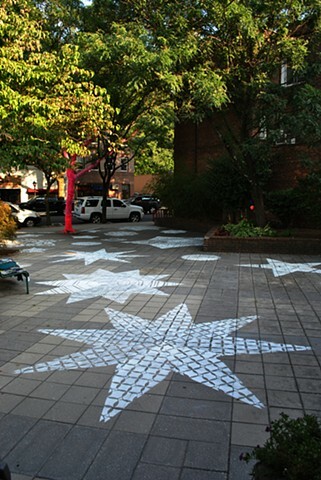 The temporary installation references patterns derived from tudor-style architecture - a style abundant in the area surrounding the art center. 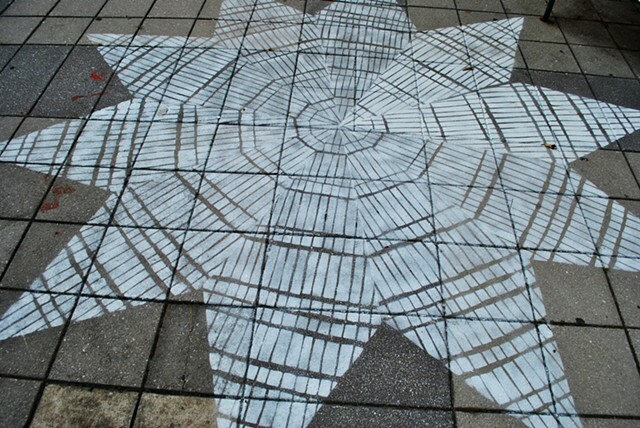 The ephemeral work was installed using temporary spray chalk. 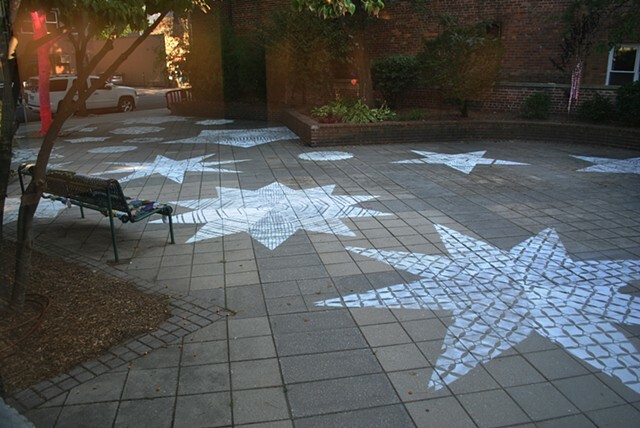 It faded with time and traffic in the Pelham Art Center courtyard.